Your very own personal secretary is back in her Winter uniform! 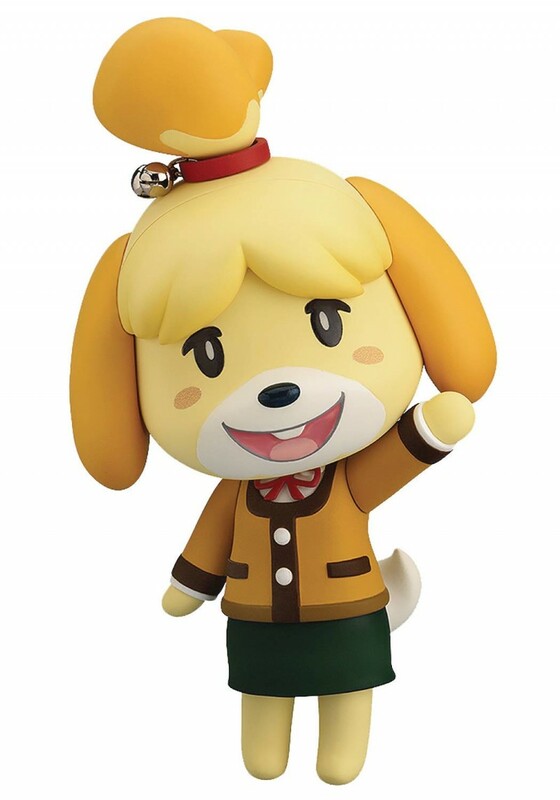 From the popular 3DS game Animal Crossing: New Leaf comes another version of Nendoroid Shizue, this time wearing her long sleeved outfit from the Autumn and Winter months! She comes with both a cute smiling expression and an “ahem” expression - which can be combined with the included effect parts to recreate the adorable pause menus! She also includes arm parts that can be used with the previously released “Nendoroid Shizue,” giving you even more options when displaying the two seasons together!